In a dystopian world ravaged by infection, society as we know it has fallen to the mouths of the dead. The remaining fragments of civilisation survive in walled compounds, scattered in the depths of the countryside. When her little brother becomes sick with a suspected flu virus, Alyx Silverthorne will do anything to keep Tommy alive. With limited medical supplies and only herbal alternatives, his prospects of surviving this mystery illness are bleak. But saving Tommy is just the beginning. The infected are not the only monsters that exist in this new world, and human nature can be destructive than the dead. 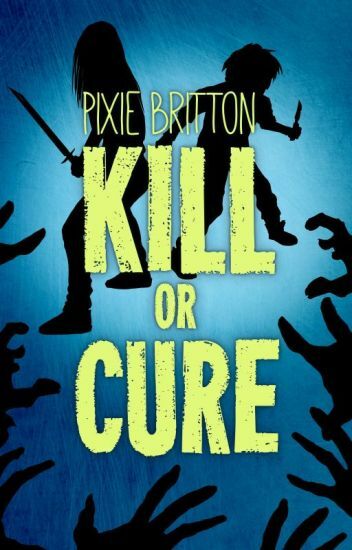 Kill or Cure is a dynamic, multifaceted story of teenage love and gut wrenching loss in a dystopian world. "It was Hell's kitchen. On the dirty checker floors, was blood. Red mush stained over almost the entire floor. And I see Mommy's body lying there motionless, surrounded by gross, rotten inhumane-like things. They were tearing her apart, eating her flesh, guts and any other remaining traces of meat left with their long, clawed fingers. It was them. They were exactly the ones I remember seeing on T.V. with mommy and daddy; they were the things called 'zombies'." 12 year old Rima Orlume loses her parents during a zombie virus attack. Luckily, she was saved by her father's dear friend...or was she? All rights reserved. No parts of this story may be reproduced or transmitted in any form or by any means, electronic, mechanical, photocopying, recording, or otherwise, without prior written permission from the author 10deadmask01. Any person/s who ignores to heed this warning will be liable to criminal prosecution and civil claims for damages. The group at the farm are under more pressure than ever, with a threat from Russell's group arising, and the winter depriving them all of food. Back at the hotel, Fletcher's group have lost everything, and they need to make a new start. And with the ratio of humans to zombies rising all the time, no one is safe. Will they all be able to survive when things just keep getting tougher, or do they need to brace themselves to lose more people? Thanks so much to @GoldenSongbird for making our cover! It's month after the dead first began to walk. The miracle vaccine that was supposed to save us all has failed. When you are infected with the virus, there are four stages. 1) Your fever will shoot up and everything will become intensified on a maximum level. You'll lose grip on what's reality and what's illusion. 2) You'll start to slowly fall down the rabbit hole, forgetting the past and everything and everyone that you knew. 3) You face your imminent death. 4) You wake up with a pressing hunger for the living. It's been seven months since the pandemic hit with this virus and the world has been ravaged and left to ruins. Society has crumbled to nothing and more than three fourths of the population have been infected with the mysterious virus that took the world by storm. The virus has turned anyone infected into crazed flesh-eating freaks, with decrepit skin and red puffy eyes. The only way to kill them is by obliterating the brain. Elise Alice Gordon, Lease for short, led a simple life until the virus hit. Seven months later she is just barely scraping by. She's done what she's had to do to survive, and in that process she has created demons that haunt her every time she closes her eyes. See, it hasn't been easy trying to live in a dead world. She's lost friends, family, and everything she's ever known. The only thing she hasn't lost is her humanity and her hope. But she's afraid she's starting to. Because in this new world, there's only her, the dead, and the restless. © 2012 by Ashtyn Mane. All rights reserved. As people start to settle in a terrifying new world, the mind's of the sane begin to deteriorate. As the three groups deal with the apocalypse in different ways, and there is a constant power struggle who will come out on top? Will goodness win out, or will the likes of Russell and Alby begin to take over? The horrific zombie apocalypse breaks out! Alfie finds himself with two people that he has only just met as the world begins to slowly end. No body knows the truth of how anything has happened and Alfie is determined to find out. Will he be able to? Read as we follow Alfie become a fighter, a leader of a group and survive the apocalypse. Who will survive and who will get eaten alive? Are you ready for Zombie Apocalypse? No? Read this instructions below.